Every time a cell divides, during normal growth, the chromosomes first duplicate themselves once, and only once, with perfect accuracy. When this process is disrupted, a mutation occurs. The result is unregulated cell proliferation. This amazingly accurate concept was put forward by Theodor Boveri in 1914, as the somatic mutation theory of cancer. Today cancer is defined as a disease of the genome. More than eight decades have passed since the time of Theodor Boveri, and today molecular proof of cancer biology is readily available, in the form of mutated genes that cause cancerous cell changes. These genes are called oncogenes or tumor suppressor genes, mutations in either of which can result in the abhorrent proliferation of cells, leading to cancer. Of the 300+ cancer mutations known today, only one in ten are oncogenes while the rest are tumor suppressor genes. These allow a tumor to grow if they are damaged. It was the English physician, John Hill, who first reported his observations on the effect of environmental factors in the development of cancer, when he related tobacco smoke to cancer of the nose in 1761. Percival Pott was another English physician who noted that testicular cancer occurred more frequently in men who had been chimney sweeps at any time of their lives. This was an important landmark in the history of occupational cancer, as it related cancer of the scrotal skin to contact with coal-containing soot. Pott also noted the long gap between exposure and cancer development, which proved that cancer was caused by a series of mutations over a long period of time. The epidemiologist Julian Peto also conducted an epic study of asbestos workers which accurately predicted an epidemic of mesothelioma, a deadly cancer of the lung covering, due to inhalation of asbestos fibers. This was partly instrumental in getting a ban on cancer-causing forms of asbestos (blue and brown) in 1985. However, seven mesotheliomas on average are diagnosed every single day, owing to exposure before this date. The need to understand cancer biology led to the establishment of the Cancer Research Fund in 1902. This became part of Cancer Research UK (CRUK) in 2002. Much experimental proof poured in between 1908 and 1970, that when an extract from cancer cells was injected into another animal, a cancerous growth resulted. This cancer-transmitting factor was believed to be an infectious agent. In 1970 the src gene from the Rous Sarcoma Virus (RSV) was shown to be the culprit, and thus became the first cancer gene (oncogene) to be found. 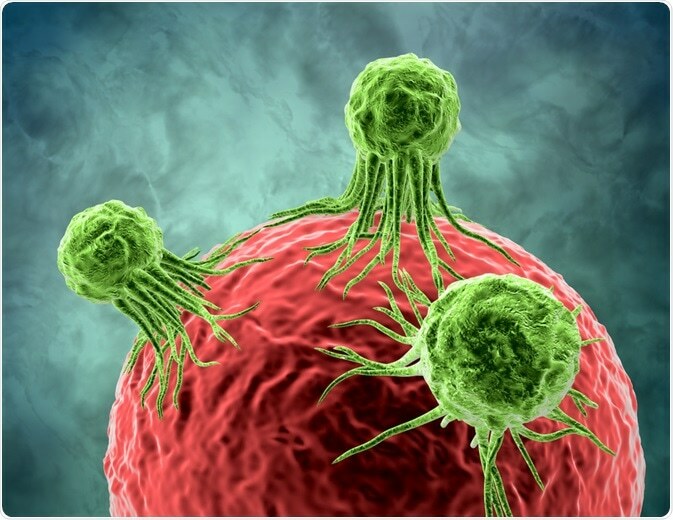 Next came the finding that oncogenes transmitted by viruses are mutated versions of normal genes that are crucial to the growth and development of the organism. These came to be known as proto-oncogenes. Researchers then found that there was no simple one-on-one relationship between the mutation and the cancer. Instead, different genes were responsible for the origin of cancer in different cells within the same tumor, as well as in different tumors. This discovery spurred international discussion on the possibility of sequencing of the entire human genome. Despite the almost complete lack of efficient and rapid sequencing tools at that time, sequencing the whole genome had such obvious advantages that the Human Genome Project was launched in 1990, and completed in 2003. 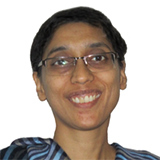 This feat, with the emergence of incredibly fast and inexpensive massively parallel sequencing techniques, led to cancer genomics – the methodical examination of the genome in order to detect the genes commonly mutated in specific types of cancer. A prominent name in this field is that of Mike Stratton at the Sanger Institute, who discovered the most frequent mutations in malignant melanoma cells. Similar discoveries in other parts of the world led to the Human Cancer Genome Project (2009), now called the Cancer Genome Atlas (TCGA). Simultaneously, he initiated the International Cancer Genome Consortium with collaboration of researchers from over 15 different countries. In the 1940s David Smithers collated data from the family trees of over 450 patients with breast cancer to show how breast and ovarian cancer run in some families. Using linkage analysis, Doug Easton’s team found that the genetic culprit was the BRCA1 gene. Bruce Ponder mapped the gene to a small region on chromosome 17, and the locus was finally pinpointed by an American scientist, Mark Skolnick. However, this caused only a minority of hereditary breast and ovarian cancers. Mike Stratton’s team at the Sanger Institute found another oncogene, a BRCA2 gene on chromosome 13. Paul Nurse, director of the Cell Cycle Laboratory at CRUK, received the Nobel Prize with Tim Hunt in 2001, for their discovery of how cell division is controlled. This is a central piece of the puzzle about how uncontrolled cell proliferation occurs in conditions like cancer. Malcolm Stevens is a pioneering UK scientist whose team developed a drug against glioblastoma in the 1970s. This is among the commonest of adult brain tumors. This has since become first-line treatment for this cancer. Phil Ingham’s work on fruit fly ‘hedgehog’ genes in the 1980s onward helped identify similar oncogenes in vertebrates, proving them to be genes which normally play key roles in embryonic development. 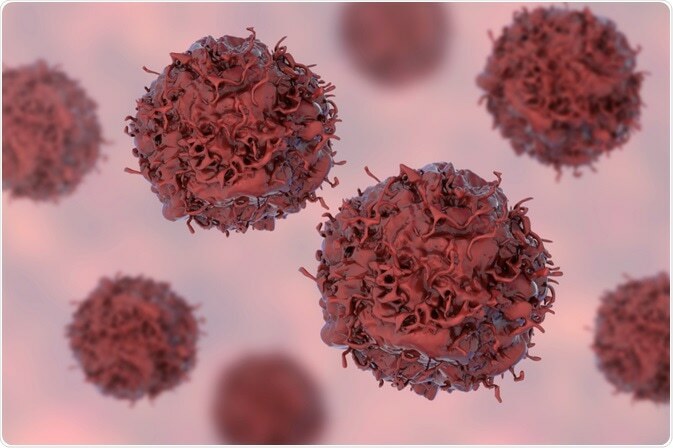 A drug targeting hedgehog gene signaling has now been made available for clinical trials in certain cancers and could save patients not responding to other therapies. In 1989 Bill Gullick reported that levels of the HER2 gene as well as its encoded protein were present at much higher levels than normal in cells from aggressive breast cancers, and this increased the aggressiveness of the cancer. This led to the creation of an antibody targeting this gene, thus stopping cancer cell growth - the drug called Herceptin, used on thousands of HER2-positive breast cancer patients, and now for HER2-positive stomach cancer patients as well. Other potential targets include pancreatic and lung cancer, as well as a subset of HER2-negative breast cancers. 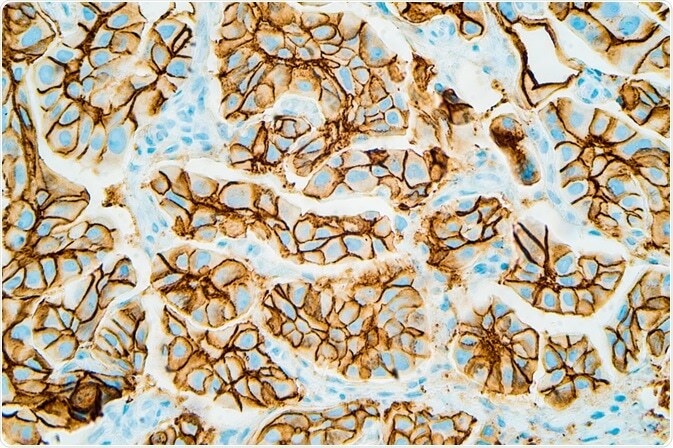 Immunohistochemistry showing HER2 positive breast cancer (David Litman | Shutterstock). Another hero is the chemist Alexander Haddow who tinkered with the chemistry of nitrogen mustard, a new drug then being used experimentally to stop tumor growth in rodents. He eventually found out in 1948 which parts were essential to its anti-cancer activity and how it destroyed the white blood cell. This marked the start of chemotherapy in cancer, a difficult but often rewarding pathway to surviving cancer. It was Hamilton Fairley, who was born in Australia but lived for most of his life in Britain, and tragically lost his life in a 1975 terrorist car bomb attack, who brought medical oncology to the forefront as a critical component of cancer treatment. Professor Malpas and Professor Eric Scowen set up the first department of medical oncology in the country with Hamilton Fairley, at St. Bartholomew’s hospital, also pioneering combination chemotherapy in Britain. This was vastly more effective than the earlier monotherapy. Tim Connors brought the process forward in the 1970s, by developing platinum-based drugs to destroy cancer cells, literally saving thousands of lives. Ken Harrap was a pioneer at the Cancer Research Fund, discovering and developing many cancer drugs. Born in 1931, he was an excellent biochemist, applying his skills to develop anti-cancer drugs from mainly two categories: those producing DNA damage, and antimetabolites. Ken Harrap’s trademark was his inclusion of specialists from multiple disciplines, and the clinicians actually treating the patient, to evolve the best possible drug treatment applied in the most optimal manner. He also emphasized that it was important to understand how these drugs actually acted within the body and on the cancer cells. The close relationship he maintained with cancer specialists ensured that he received rapid feedback on the real needs of therapy, and the failures experienced with many common drugs in specific situations. The result was accelerated drug development to the phase of human trials. David Lane discovered the small molecule p53 in the 1970s, but little did this eminent scientist realize that he had just unlocked another door to understanding cancer cell proliferation. This molecule was the first tumor suppressor protein to be found. Tumor suppressor genes prevent tumor growth in the body, thus mutations in these genes can promote cancer. 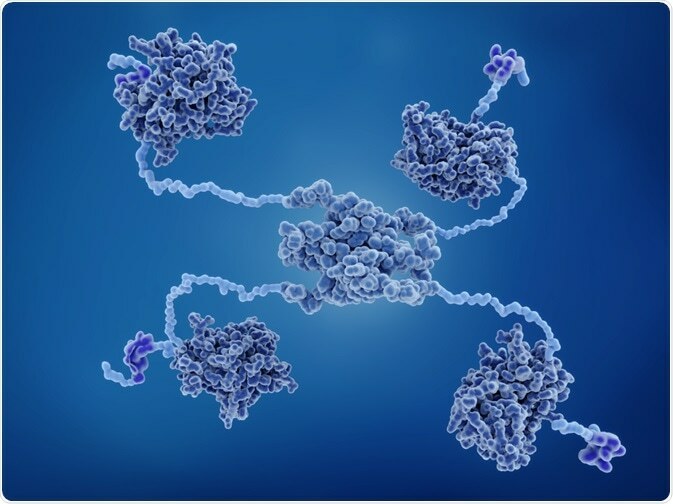 Known as the ‘guardian of the genome’, p53 helps to protect cells from turning cancerous by arresting their growth or promoting apoptosis (programmed cell death) when they are severely damaged. Defects in p53 are found in most human malignancies, with catastrophic effects due to its large range of functions. At the beginning of the 1980s, Mike Jarman and Elaine Barrie introduced medical castration in prostate cancer, avoiding surgery while preventing relapse. This was found to be invaluable in relapsed prostate cancer which is not dependent upon external androgens, but produces its own hormones. In 1984, another high-impact paper was published by Julian Downward which showed for the first time that a cancer arose in a cell because of changes in the cell’s own genome. This led to several other drugs targeting oncogenes. Walter Bodmor and his team worked on finding the killer gene in hereditary colon cancer patients, along with Ellen Solomon and her colleagues, and in 1987, they independently pinpointed the locus on chromosome 5. This led to the discovery of the APC gene, four years later, which allows family members of a patient with this condition to be screened as well as to undergo genetic testing, which could save their lives. Valerie Beral in 1990 suggested that Kaposi’s sarcoma, a rare soft tissue cancer occurring commonly in people with AIDS, was caused by a sexually transmitted infection. Four years later, it was discovered to be a virus dubbed HHV-8, independent of HIV. In 1992, Gerard Evans found that an oncogene called the Myc gene not only spurred cancerous proliferation of cells but also the opposite – it caused cells to enter apoptosis when the conditions changed. An illustration of p53, by Juan Gaertner on Shutterstock. In 2016, scientists began to hone in on the role of the immune system in cancer development. This helped understand why immunotherapy can be so effective in some cases but so impotent in others. Perhaps gene editing, to remove or inactivate the ‘sleep’ gene turned on in some immune cells by cancer cells, could help develop better treatments. Some tumors are being targeted by antibodies developed against the chemicals that help them develop a strong and independent blood supply. This could conceivably lead to a disarmed cancer, which exists in the body but cannot grow, and therefore cannot cause disease. Novel blood tests help test for specific mutations in a particular gene, irrespective of which type of tumor is present. This can help doctors treat the gene mutation itself rather than having to treat different cancers caused by the same mutation. Blood markers such as p53 can help follow up cancer treatment. Scientists at CRUK Center are finding powerful tools to fight individual cancers by exposing flaws in their armor, such as leaky blood vessels which provide free access to chemotherapy drugs.